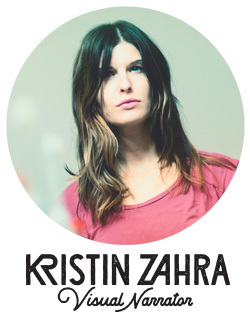 Kristin Zahra is a multi-disciplinary artist who uses design, animation, photography and filmmaking to communicate visually. Since her 3D animation & Visual Effects studies at Vancouver Film School, she has worked on numerous projects for the television, film, music, and advertising industries. She conducts freelance work remotely from her Omaha, Nebraska studio and on-location. She loves all things film and is looking for opportunities to collaborate using the medium. Thank you for visiting!